I love eating soups in the winter. And there is nothing that compares to home made soup. 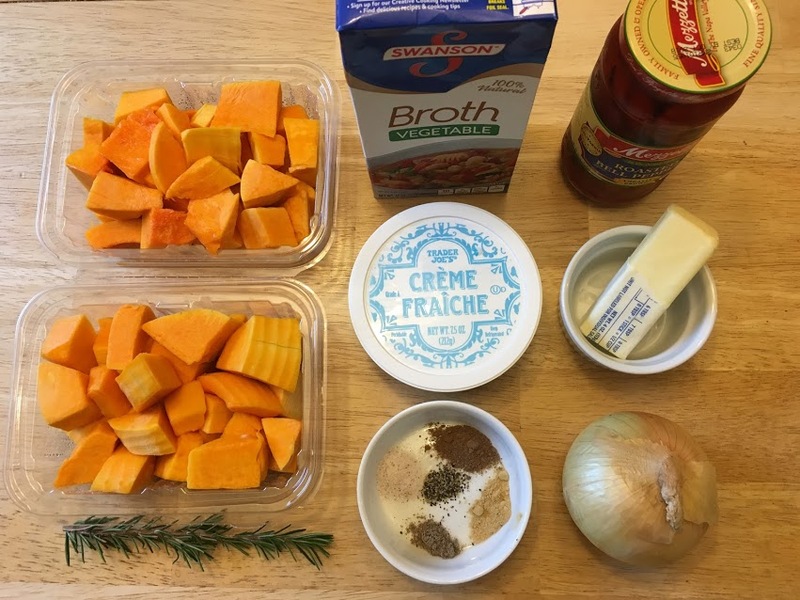 Of course, not everyone has time for roasting and cooking for hours so I modified my favorite butternut squash soup recipe to shave off some time during dinner prep. Of course homemade soup still takes longer than opening a can, but when it comes to this one the time is definitely worthwhile. 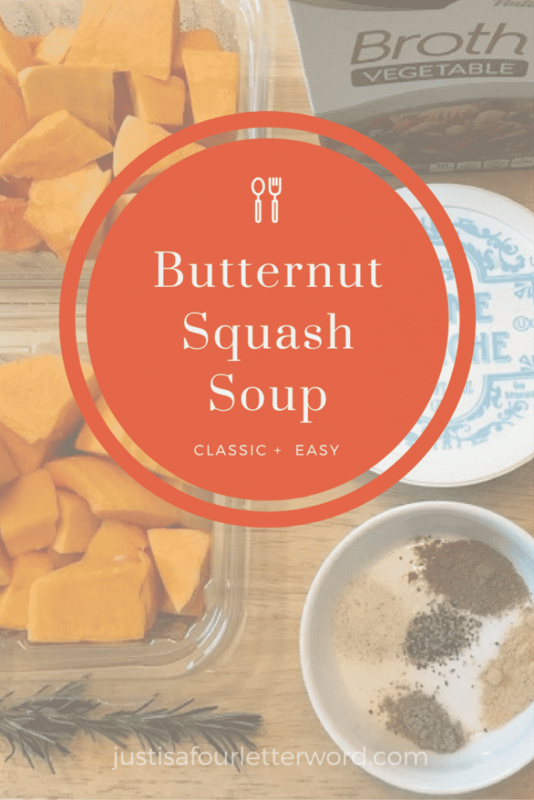 A cold Saturday in with some tunes and this butternut squash recipe makes me a happy mama. Jerry and I love this meal and while the kids have other favorites, they will actually eat this! The folks from NutriNinja recently asked me to try out the new Nutri Bowl and I knew instantly what I would make. Ever since I tasted my sister’s soup at Wolfgang Puck Express in Walt Disney World’s Disney Springs (then Downtown Disney) 3 years ago, I’ve been hooked on Butternut Squash Soup. The Nutri Bowl made all my chopping and pureeing a breeze. A quick rinse between ingredients and I was good to go! I couldn’t believe how quickly I was able to get an even, smooth texture. 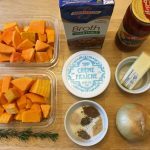 Butternut Squash soup is perfect for a cold or rainy weekend dinner. It’s easy to make but it can be time consuming so I like to make it when I know I’ll be in the house. Bonus, it smells heavenly as it cooks! When I first started making it, I used the recipe I found on Food.com. Since then, I’ve tweaked it a little to cut down on timing. Either way is delicious and I didn’t notice a difference in flavor using my little shortcuts. Serve with gluten free veggie muffins and you’re ready for dinner! 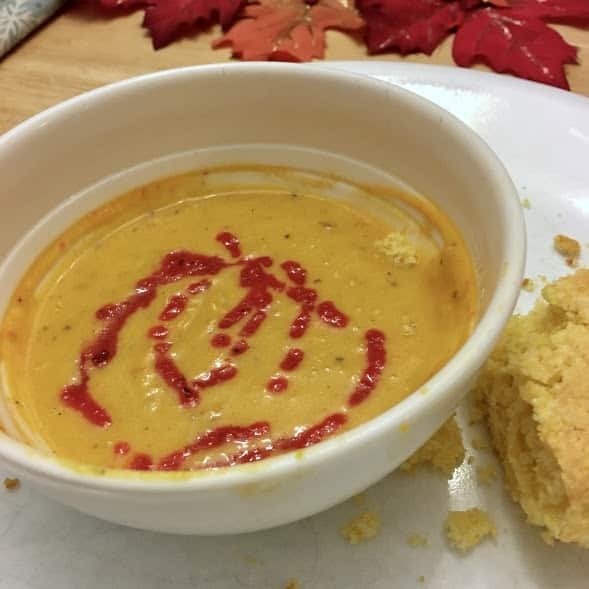 Add red pepper sauce and enjoy with corn bread. Do you have a favorite winter soup? I’m always looking for great new recipes to try! Oh you want dessert too? Why not try this super easy banana bread? 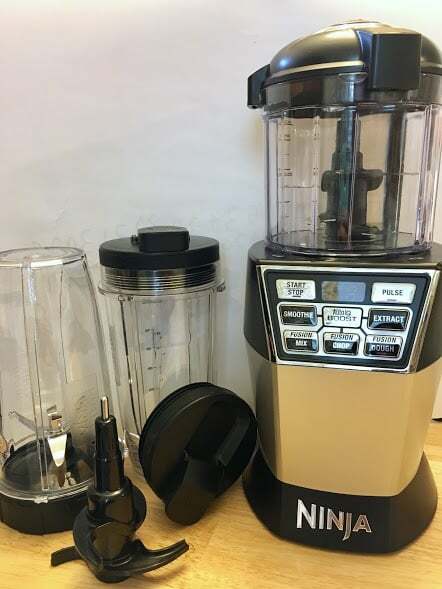 Thanks to NinjaKitchen for sending me the Nutri Bowl. It makes a great addition to my growing collection of kitchen tools! Hello YUM!!! That is one of my all time favorite soups!